Ignited is excited to announce that we have been selected to receive an Early Childhood STEM Challenge grant from 100Kin10. This grant, awarded to ten organizations across the country, seeks out visionary teams who can identify and incubate “moonshots” enabling teachers to create active STEM learning environments for students in grades P-3. We are thrilled this award funds the development of Spark Early Education STEM (SparkEES), a new program that Ignited designed in order to improve 2nd and 3rd grade STEM instruction. Our core belief is that teachers who experience and immerse in real-world workplaces are better prepared to teach their students the skills, knowledge, and practices those students need for success. SparkEES is directly aligned with Ignited’s mission to develop collaborations between corporate, research, and education communities to improve STEM education for students throughout the Bay Area. SparkEES incorporates many proven strengths of our Summer Fellowship Program for participating teachers: immersion in company culture, a community of like-minded educators for coaching and support, and access to company mentors with expertise in new technologies. Curriculum development will be the primary focus of the teachers’ summer work. Design thinking will be the framework for them to both experience active STEM learning for themselves and to build active STEM learning cultures within their schools. 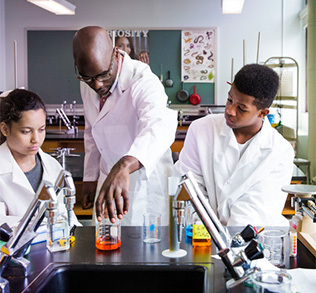 All of Ignited’s programs help teachers see themselves as scientists, engineers, and researchers who can lead their students in investigations. To further increase our impact, we aim to extend that mindset throughout a district – beyond our program participants. To build sustainable school culture change, the SparkEES program will build resources and support for other elementary teachers to incorporate STEM standards into their practice. As a recipient of the Early Childhood STEM Challenge grant, Ignited also joins the 100Kin10 Networked Improvement Community (NIC). Members will work together for two years offering follow-up coaching and improvement exercises to help successfully utilize the funding to make an impact in early childhood active STEM learning. The 100Kin10 NIC enables participants to blend learning approaches and a technology platform, by sharing learnings, while measuring the progress and impact of solutions. Participants are supported by their peers and experts to help them solve challenges along the way. Ignited is inspiring the next generation of innovators. We are a Silicon Valley nonprofit transforming STEM education by fostering a collaborative community of business leaders, scientists, and educators. Together, we aspire to equip all students with the critical skills they need to flourish in a rapidly evolving workplace and actively participate as citizens of our nation. 100Kin10 unites the nation’s top academic institutions, nonprofits, foundations, companies, and government agencies to train and retain 100,000 excellent science, technology, engineering, and math teachers so we can educate the next generation of problem solvers.